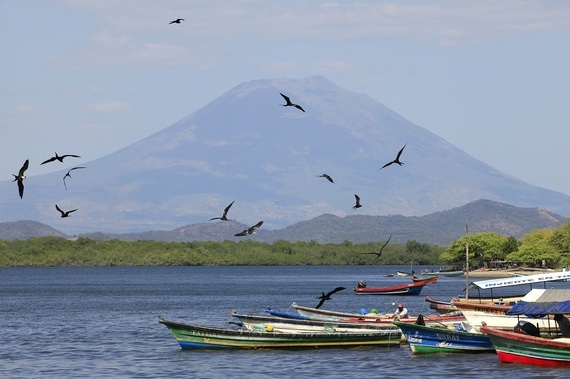 La Coordinadora of the Lower Lempa and the Bay of Jiquilisco in El Salvador is a grassroots, community-led organization of 27,000 families in more than 100 communities. It is transforming economic and political power and the health of the environment, across the department of Usulután. Pillars of La Coordinadora are participatory democracy, empowerment of women and youth, and - still in the works - education and health care for all. 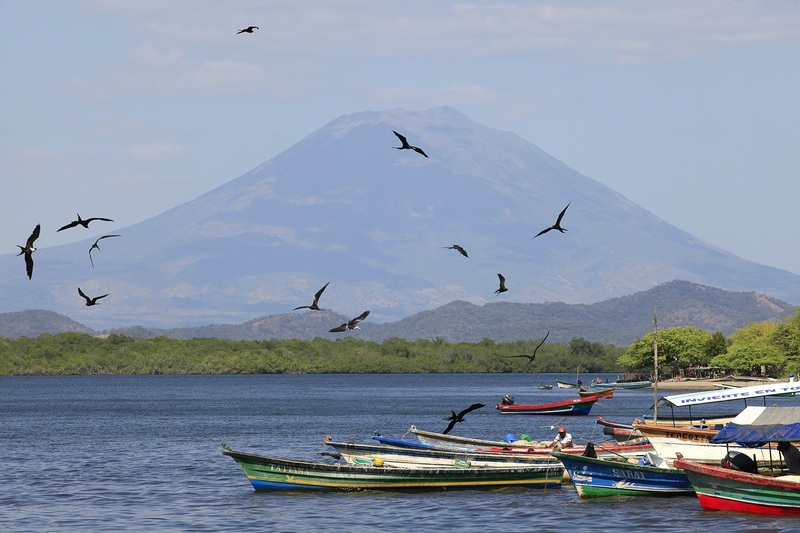 The communities are generating income through a green economy based on ecological agriculture and fishing. La Coordinadora is working to build food sovereignty, protect ecosystems, and preserve the largest remaining mangrove forest in the area. Estela Hernandez is a leader of La Coordinadora and its affiliated non-profit organization, the Mangrove Association. She is also an elected member of the national legislature. There, Hernandez sits on the Environment and Climate Change Commission, the body that drafts environmental legislation. Beverly Bell: Tell us about how La Coordinadora got started and what changes it has sparked. Estela Hernandez: La Coordinadora is a community organization, a social movement that came together in the Lower Lempa River Basin after the peace accords [of 1992, between the government and the revolutionaries, ending 14 years of civil war]. The area is in a flood plain, and was hosting a large community that had taken refuge [from the war] in Panama and had been repatriated, and others who had been in combat. They were all anxious to settle down in a place where they could make life-long plans. La Coordinadora formed originally to find a response to the recurring floods so people could live there safely. Then we realized that we had to go beyond disaster prevention to see how people could satisfy their food needs, their housing and, well, everything that came from having been totally neglected by the government. So we started working on a plan that would allow people to organize and unite and address production, infrastructure, and environment. We're talking close to 86 communities, about 4,000 families, who decided collectively to address these issues. We made a long-range development plan, based on the wealth of biodiversity in the region. There are good conditions for fishing and for agriculture - the area has some of the best soil in the country. Our plan is for local economies to be supported from our natural resources in a responsible manner, allowing for the regeneration of those resources to guarantee that future generations benefit from them, too. [Among many other things] we've gone from subsistence agriculture to production that provides some profit for the communities. BB: What do you mean when you say "development"? EH: We're talking about creating the conditions for people to have a decent, dignified life, with their health and education needs covered. Before, all that was marginal for the population. BB: What is La Coordinadora's long-term vision for the community and the country? EH: Well, we aspire to have an economy where the resources can be at the service of the whole population. We still have land concentrated in the hands of landowners who - even if they aren't officially owners, because we overcame that with the conflict and the peace accords - still monopolize the land to do [large-scale] mono-crop farming. So our aspiration is to start democratizing land so the communities will be the owners of the life resources. BB: I'm guessing the powers that be in your area don't like your work very much. EH: They don't, because these plans are the complete opposite of the way things have always been done. Let's take the example of private national companies; they get established in an area and extend their tentacles, and they merge with transnationals. It's difficult to have enough capacity at the community level to really be able to compete. For example, in the Lower Lempa, there's a very important bay, the Bay of Jiquilisco. [La Coordinadora has established a biosphere reserve there.] It's where the best potential for basic grains, vegetables, shrimp, and fish comes from. A private company is thinking of setting up a tourist resort industry there, so we're really being pressured for our lands. A first resort was already developed in the northern area, and because there was no community participation for that one, people were left highly marginalized. Tourism has worsened the community's life conditions. BB: How is power constructed in La Coordinadora's communities? EH: Eight to ten communities join together in what is called a local group. The communities appoint their representatives for an assembly of the local group, and the assembly makes a plan of priorities for their communities, discussing what should and should not be done, especially in terms of agriculture, aquaculture, or whatever the focus of that area is. They take that back to the local group, which holds a full assembly. All the communities' decisions then go another assembly called the key group, where about 60 leaders come up with a single strategic plan. Then that is submitted to the municipal governments and the national government. BB: Talk to me about the role of women in this local power process, please. EH: Well, we know that in order to have real participation from women, it's necessary to generate the conditions, right? It's not just about the speech or about numbers. It's about making the contributions that women already make visible. It's not about giving her five more tasks on top of the ten she has, but rather, taking into consideration the work that she is already doing. In the past, the women were the ones who mainly participated, but when it came to representing the community [in our local power process], there were mainly men. So we'd ask "Why?" And it was, "Well, who's going to take care of the children"? So we started to rupture the conditions that block women from decision-making spaces. We explored how it would be possible to have the family help out when she has to leave the community, for example. And we have training sessions specially aimed at the women. Nowadays, we've reached a point in the board of directors of La Coordinadora where we are three women and two men. And not because our statutes cite that quota, but because the women's skills have been recognized. The same is true at the national level: in our department, of the two people and the two substitutes that we elected to the legislature, three are women. In fact, I was the first female representative in the history of the department of Usulután. Within La Coordinadora and in our areas' representation in regional and national politics, the majority of those involved are women. The organization is very proud of that. BB: You've talked about La Coordinadora's relationship with business. Tell me about your relationship with the national government. EH: All the problems in our region are of a social, environmental, and political nature, so we've worked to affect local and national government. We've also been part of political parties that are in sync with us, representing the great majorities in our country. We have the FMLN party [the Farabundo Martí National Liberation Front, formerly a coalition of five guerrilla organizations that became a party after the peace accords were signed] that took office in 2009, with the support of the whole [grassroots] population. They realized that it was necessary to change the economic model, because all the wealth in our country was concentrated in a few hands. So La Coordinadora started to take our proposals to a public policy level. That's people's power: democratic power coming from the social movement, and giving the local and national governments alternatives which we already know work. We come from having governments that benefited only small oligarchic groups. But this government emerged from the large majority, so they have to respond to the sectors that have been marginalized, and to govern so the whole population benefits. We have advanced quite a bit. BB: Is people's participation in La Coordinadora, the number of members and communities, growing? EH: La Coordinadora has grown tremendously, to about 27,000 families. And we're no longer just in the Lower Lempa; there are two adjacent areas that are now part of the social movement. This isn't just to improve our region, but to serve as a model for development for others. We understand that we're not an island, and we also feel responsible for what happens in the rest of the country. For more information and to support the work of which Hernandez speaks, please contact its US-based partner organization, EcoViva. Many thanks to Karolo Aparicio and EcoViva for making this interview possible, and to Flavia Moreno for translating it. Beverly Bell has worked for more than three decades as an advocate, organizer, and writer in collaboration with social movements in Latin America, the Caribbean, Africa, and the U.S. Her focus areas are just economies, democratic participation, and gender justice. Beverly currently serves as associate fellow at the Institute for Policy Studies and coordinator of Other Worlds. She is author of Walking on Fire: Haitian Women Stories of Survival and Resistance, Fault Lines: Views Across Haiti's Divide, and Harvesting Justice: Transforming Food, Land, and Agricultural Systems in the Americas.